I am only 22 yrs. old. The entire time I was in college and still today suffer greatly from constipation, severe stomach problems and chronic fatigue. I crave sweets and bread to the point to where I think its ridiculous and realize it's not normal. Every few months I go to the doctor with complaints of chronic fatigue. First I was diagnosed with Iron deficiency and anemia. A couple months ago I was told that I had a severe b12 deficiency and most recently my vitamin D was a 12. I was in a lot of pain before beginning supplements a couple weeks ago. However, after starting treatment my pain escalated so great I had no idea what was going on. None of the doctors will entertain the idea of prescribed pain meds. I have not made it through a complete night's sleep in over a month due to pain. If my bones aren't hurting, my stomach is sounding off and feels like it is churning, keeping me awake. If I do finally fall asleep, sometimes, I wake up in pain. I also have Thalassemia minor. I am told repeatedly that it means nothing and won't contribute to any symptoms. As for my stomach, i've gone to the doctor before and the doctor just listened to it with a stethoscope and said it was probably an ulcer. It went away for a while and has been back ever since. I am so constipated that I only go to the restroom about 1-2Xs a month. Everytime I go to the doctor they give me something for it, nothing has solved my problem. The doctors all say that it is normal and not every person goes to the restroom often. I beg to differ. In conclusion, I want to know why these deficiencies keep occurring and will I eventually have to take all necessary vitamins by supplements. I already take Iron, B12, and now 50,000 IU of Vit D. Also I do not know what else to do to manage such great pain and how much longer will I have to suffer and feel so drained? Doctors have been unable or unconcerned to fully explain what is going on with me. I'm unable to do anything productive. Could the cause of all this be gluten intolerance? Yours is a very complicated problem and I'm afraid that I certainly don't have an 'easy' answer for you. 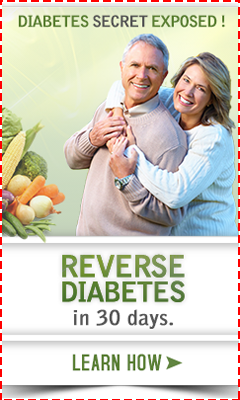 You are going to have to really look into a lot of different things and change your diet and lifestyle drastically. The very first thing to look into is to see if you have Gluten Sensitivity. In fact, having anemia and B12 deficiency are both reason enough for you to have been tested for Celiac Disease, the most severe form of gluten sensitivity. But be sure to understand that Diagnosing Gluten Sensitivity is tricky and often inaccurate, so even if you've tested negative for Celiac Disease, that doesn't mean that you are not gluten sensitive. I just wanted to come back and share an update to my situation. I have been diagnosed with celiac disease. I was instructed to take vit D, b12, iron, and potassium for the rest of my life to keep my levels from dropping to a severely low lovel again. However, I am monitored very closely. 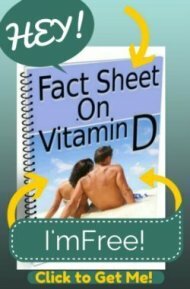 My vit D dose was decreased to 5,000 IU four times/week. The 50,000 IU was too large and I was overdosing on it. I am on a completely naturally gluten free diet. I don't care for the manufactured gluten free foods. I am losing weight significanlty without working out. We are watching this. I have also been put on fiber to help with my digestive problems. It is working slightly. I was referred to a rheumatologist by my immunologist. He is great. My days are much better but still hard. I have pain relief. I am on arthritis and nerve medication too. This helps me greatly when trying to get around. I am watched very closely because they fear I may be developing Lupus or Rheumatoid Arthritis. I still have my good and bad days. But, I am much happier and feeling better. MY husband also has Thalassemia Minor along with his sister. They also joke/complain about the constant stomach pain. His sister is older she has had her gallbladder removed, this very common for THAL's individuals. Also was told she has celiac after an ER visit. Both are large individuals. The research says bronzing can occur which my husband has in his skin. Iron deposits in the skin. His Fatigue is really distrubing his life. He refuses to see a doctor. MRS Brown a worried wife. San Francisco Medical center and there I was diagnosed as having Thalassemia minor. I was told very clearly to never take iron, because we are not able to digest iron supplements. I was also told that my tiredness was due to Iron overload which is very hard on body. You need to see a doctor who has been trained in Middle East/Mediterranean areas, or SE Asia who are familiar with this genetic disorder. Taking Folic acid specially if you get pregnant is advised. About your constipation, all I can tell you that it is not good to have 2 bowl movements/week. I would not even think about 2/months. Eat a large serving of spring mix salad every night. Drink enough water and liquid, Soak prunes in water and have 2-3 first thing in the morning and then again late at night. Go on web, there are other ways to get rid of toxins in your intestine. But, be careful and always talk to medical personals who are open to alternative ways to deal with these problems. I hope this helps. Stay healthy and responsible for your own health. i have thalisemia minor and just diagnose with ceoliac desease because of antibodies in my blood cells without endscopy. is it any relationship between thalisemia minor and ceoliac desease???? I have minor alpha thelassemia and constipation for years but a friend of mine told me to drink 1 full glass of water every morning before you eat anything in the morning preferably right after you get out of your bed. It doesn't work when you eat and drink water for breakfast. I have little constipation now and it took me 20 years to solve my bowel movement. In addition, taking mor fiber also help. I had try other treatment for bowel movement like accupunture but it doesn''t work accept a full glass of water on an empty stomach every morning. For me, it works better than stool softener. I have a 20 year old beta thal minor. She suffers from dizzines. she is low in iron also which she takes supplements for. In spite of this she has been having fainting spells. We were getting error message on the bp machines due to low bp. So i did some research online and found out u can increase bp with magnesium. So i made her get a magnesium foot bath which increased her bp immediately. Her paleness in the lips reduced. Her pulse was low but glad i was able to bring her bp back up. After further researching found out that beta thals do have magnesium deficeincy. She also is low in zinc. Hopes this helps.